Would You Feel Comfortable If Your Child Was In A Relationship With X? 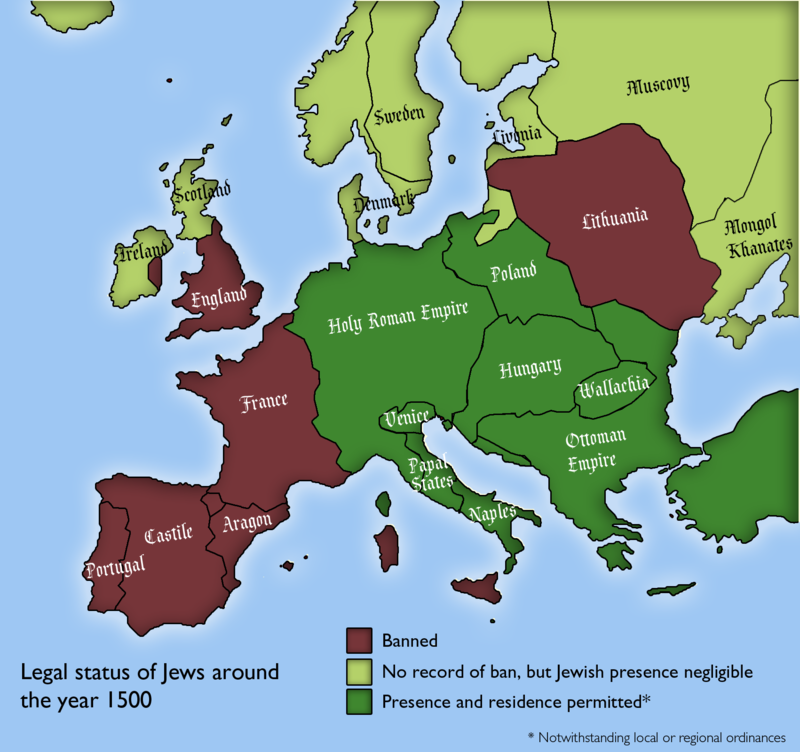 The maps above show how Europeans feel about their children being in relationships with people from different racial/religious minorities. (Black, Asian, Muslim and Jewish). The data comes from the 2015 Eurobarometer report on Discrimination in the EU. 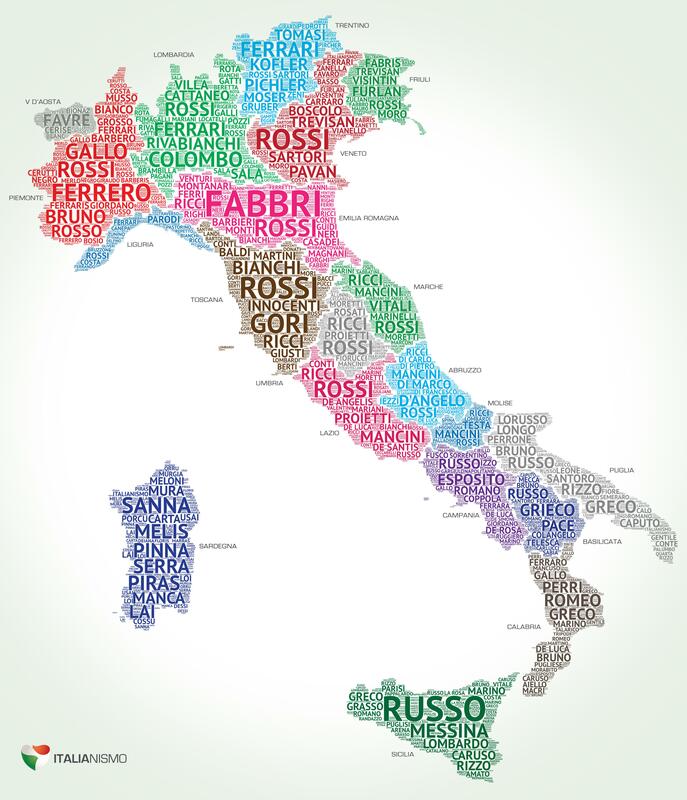 The map above shows which surnames (last names) are most popular in each Italian region. Although, even these surnames only account for around 1% of all Italian surnames due to the huge diversity that exists. 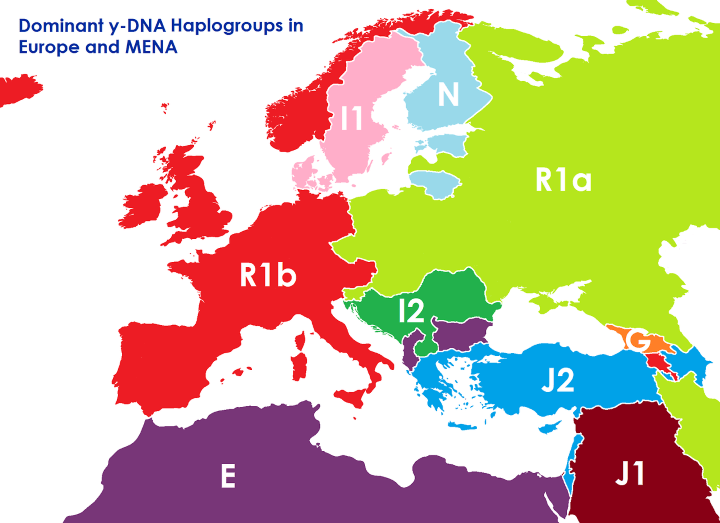 The map above shows what the borders of Europe, the Middle East and North Africa might look like if they were based on the dominant Y-DNA haplogroup rather than ethnicity and/or any other political considerations. The map above shows the patchwork of kingdoms, principalities, bishoprics, duchies, republics, cities, sultanates, etc. 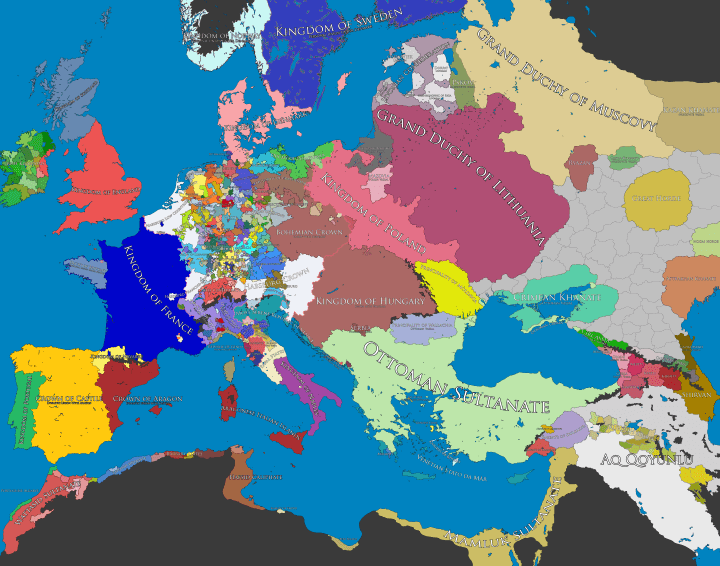 in and around Europe in 1500 CE/AD. 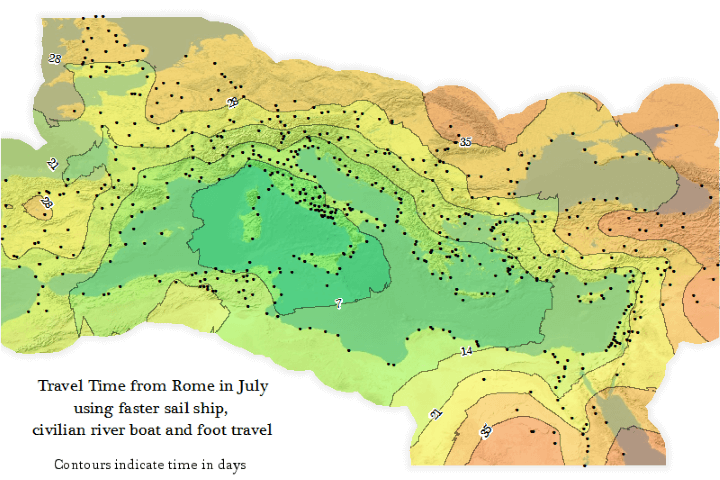 The map above is an Isochrone map which shows how long it would have taken someone to travel from Rome to the farthest reaches of the Roman Empire at its peak (roughly 200 CE/AD). Travelling within the core of the Empire could have be done in under a week, but travelling all the way to the fringes would have taken someone more than a month. 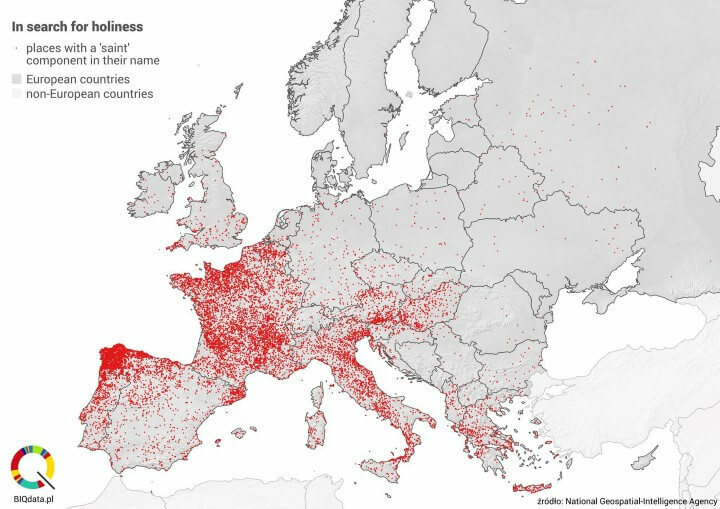 The map above shows European cities, towns and villages that have the term “saint” or “holy” in their names. 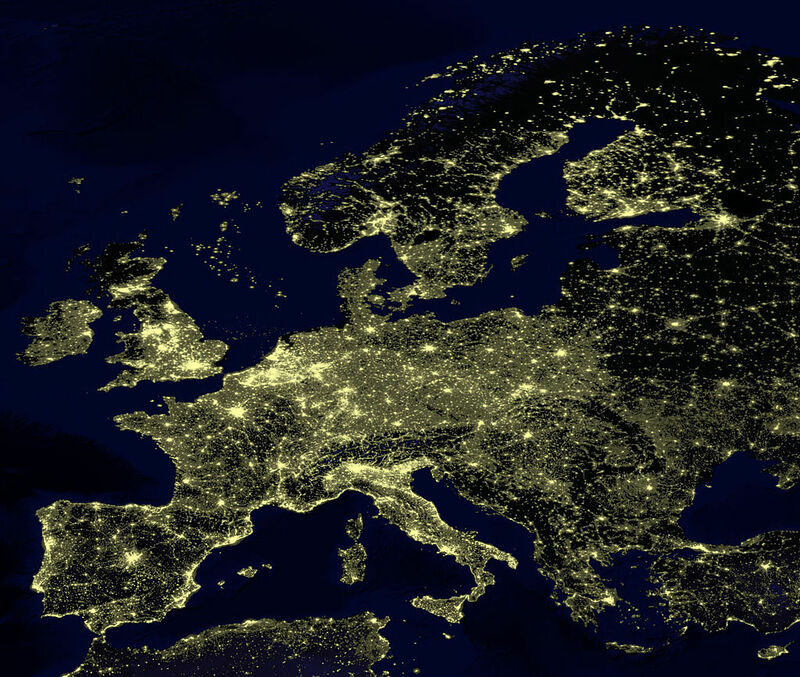 The data comes from the US National Geospatial-Intelligence Agency (NGA). The photo above shows Europe at Night.